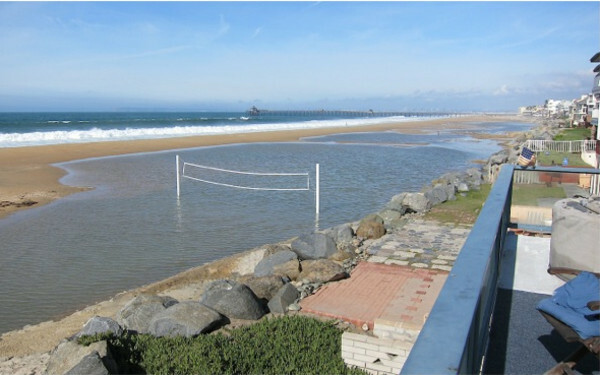 Even before the project ended in October, Seacoast Drive residents have complained that new sand has caused sea water to seep through garages, sidewalks and elsewhere. SANDAG may return to IB to even out sand that have caused water to pool. Sand replenishment in eight areas along San Diego’s coastline came to a close this week, but residents in the first city to receive sand are complaining that the project has caused water to seep under their homes, into carports and through sidewalks. Recker, his wife Stephanie, and their neighbors said water settled into an inlet a few feet deep on the beach near their homes last week after a strong swell and waves came to the region. The knee-deep pond formed near their home last Saturday and extended along at least six property lines, they told Patch. By Tuesday, water was coming out of the sidewalks, planters around the property and parking garage, they said.